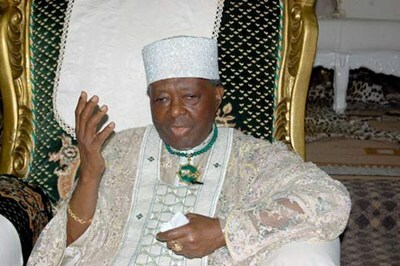 A 7-day curfew will commence in Ife at 4 p.m today after the late Ooni of Ife, Oba Okunade Sijuwade has been buried. The restriction of movement for the rites will start today and will last for the next seven days, Punch reports. Spokesperson for the chiefs who are supervising the curfew, Dejo Adejobi, addressed concerns that the curfew would affect visitors who intend to attend the burial. You will recall that it was reported that the “abobaku” had fled. Many are wondering if he was caught, or if a replacement was found. As for me, now I’m looking at these royal families from afar. No amount of class, poshness, glam, money will ever wipe the fact these people are unrepentant cannibals and blood-sucking vampires who prey on innocent souls to satisfy purely demonic requirements in the name of tradition. 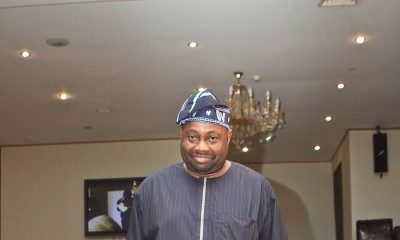 Disguised cultists flaunting sophistication and royal money-bag while families somewhere are crying over their innocent missing members. GOD GO PUNISH UNA!!! ALL OF U! And to think some ladies here blinded by the bling, tapped into this witchcraft….God help una. When strange things begin to happen to u, have only yourselves to blame. better go and “untap”. This whole saga just dey vex person…. You better look at your boyfriend who was broke last month and now drives g wagin from a far. The multitude of overnite socalled big boys yoy girls are following with no jobs but millions to spend. Are the real ritualist. Wake up ode. Naaahhh….we need more than this. Was the Oba buried with or without his “Abobaku” or did they use a scapegoat. How many other lives were used?. In short we need a picture of his open casket? Because I am starting a campaign against this Barbarism. it’s about time we rid our culture of archaic and barbaric practices. Leave all that “Abobaku” and curfew nonsense for the story books. I dont belive this tradition in 2015,God,if is true,i will never step my leg in Ile-Ife.and and city in east where they give gods virgin every yr,thank God,1 man of God brun it down, today 6 days the man still alife,b4 ,they brain wash people that,anybody who did it will die within 24 hours. Abobaku are those that are captured during curfew , hence kidnapped. 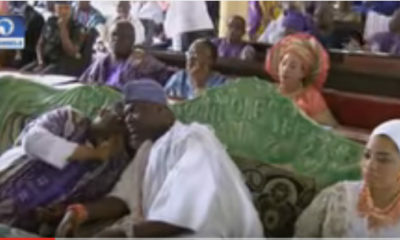 They are non ife indigenes ie visitors. They are killed and buried wih the oba. So, visitors are better off staying in doors while all these drama subsides. So who granted this people curfew to perpetuate their criminal act??? Buhari no corruption is more than this abobaku nonsense!!!!! What they heck is going on in Osun when every one has been locked inside??????? Am shocked by all this ignorant comments. Its shows that most of the commenters are kids that are not learned nor inttrested in reading. Their brain is filled with kim kardashian and tonto dike and psquare. Why dont you lots go back to your villages and ask your grandpa why curfew is imposed when a king dies. You are so lazy to read the history or our culture and tradition. How would you understand what is happening in the world. All the stupid kids know is instagram and selfie. Read a book today pls. Go to library educate yourself. That is why theres a wide margin between white and black. Pls educate us Amh since you know. I assumed the curfew was so an abobaku can be captured! You accuse others of been ignorant but you sound very stupid too. What an irony. No need to read a book, these old Traditions need to die with the oba. It’s a wicked and evil tradition. Being Yoruba, hearing all these sickening stories and practices even from my parent is disturbing. Whenever there’s a curfew , whoever is found walking around is killed, burnt and punished. And I’m sure used for some sacrifice that includes drinking blood. 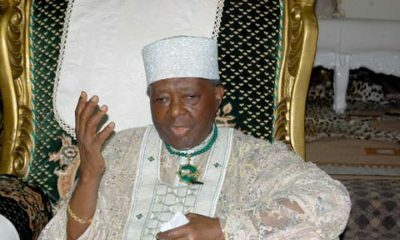 These obas have demonic power, spirits surrounding them. . It’s murder, atrocity and it should be stopped. why not burry him with his son or one of his favorite wives? Yes!!!! This is when the proper burial begins. fly out of ife staying indoors will not cut it. The neighbors know who the non indigenes are. Run away from there you are warned. Same thing happened when oba Akenzua died. Heads rolled.